Ready to #KeepTheSecrets, America? The inevitable transfer of Harry Potter and the Cursed Child will begin performances on Broadway in spring 2018. The play, which runs in repertory in two parts, has proven a critical and commercial smash hit in London's West End, and Great White Way theater owners were involved in an intense competition to land the show. The Ambassador Theatre Group won out and the production is set for an undoubtedly long-running engagement at the Lyric Theatre. As reported earlier today, the venue's current occupant, Paramour, will close at the Lyric in April 2017 and relocate. The theater is to undergo extensive renovations to accommodate Cursed Child, and 400 seats will be removed from the vast, 1900 seat auditorium. ATG also plans to move the theater's main entrance to 43rd Street (instead of 42nd). “I’m delighted we are one step closer in bringing Harry Potter and the Cursed Child to Broadway and very excited by the proposed plans,” said J.K. Rowling in a statement. Based on an original new story by Rowling, Jack Thorne and John Tiffany, Harry Potter and the Cursed Child is a new play by Thorne, directed by Tiffany. It was always difficult being Harry Potter and it isn’t much easier now that he is an overworked employee of the Ministry of Magic, a husband and father of three school-age children. While Harry grapples with a past that refuses to stay where it belongs, his youngest son Albus must struggle with the weight of a family legacy he never wanted. As past and present fuse ominously, both father and son learn the uncomfortable truth: sometimes, darkness comes from unexpected places. No word yet on Main Stem casting, but the London incarnation stars Jamie Parker as Harry Potter, Noma Dumezweni as Hermione Granger, Paul Thornley as Ron Weasley, Poppy Miller as Ginny Potter, Alex Price as Draco Malfoy, Sam Clemmett as Albus Severus Potter, Anthony Boyle as Scorpius Malfoy and Esther Smith as Delphi Diggory. 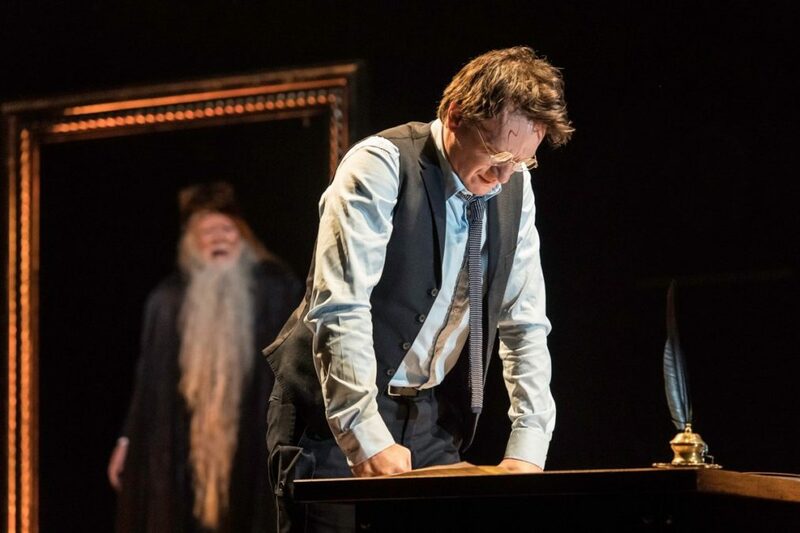 The eighth story in the Harry Potter series and the first official Harry Potter story to be presented on stage, Cursed Child officially opened on July 30 at the West End’s Palace Theatre. The show features movement by Steven Hoggett, set by Christine Jones, costumes by Katrina Lindsay, music by Imogen Heap, lighting by Neil Austin, sound by Gareth Fry, special effects by Jeremy Chernick, illusions by Jamie Harrison and music supervision by Martin Lowe.